Ocala, Florida — An Ocala Police Department police officer was arrested after officials received a tip that the officer had been smoking marijuana while on duty. 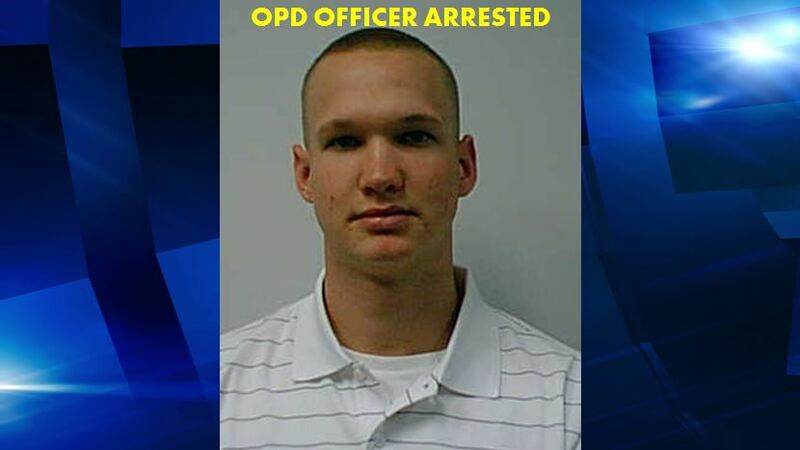 On March 17, 2016, OPD received information which suggested that, now former police officer, Jeffrey P. Hall, 26, had been smoking marijuana while on duty. The tipster stated that Officer Hall had been smoking marijuana with Christian Cornell, 27, who lives in a travel trailer, located at West SR-40, lot 44. According to reports, Hall visited the trailer regularly. After receiving the information, OPD Lieutenant Greg Martin made the decision to install hidden cameras near the RV park where the trailer was located. Investigators stated that Hall was recorded visiting the trailer 13 times. Each time Hall visited the trailer, he arrived in his marked patrol vehicle and was dressed in full uniform. Investigators reported that the travel trailer had aluminum foil covering the windows which prevented them from seeing inside. However, on one occasion, Hall arrived with a woman, later identified as Allie Smith, 23, at which time the front door to the trailer was left open. Investigators said that they could see inside and that it appeared Hall was playing video games with Cornell. Hall was on duty and actively working calls for service. While conducting surveillance, investigators made the decision to move in on the trailer. Lieutenant Martin stated that when he approached the trailer he could smell burning marijuana emitting from inside. Major Michael Balken made contact with Officer Hall as he was attempting to leave in his patrol car. After Hall exited his vehicle, Major Balken relinquished him of his car keys. Hall was then suspended and driven home. A search of Hall’s Patrol car turned up a plastic container in the center console that contained a black canvas bag. Inside the canvas bag was an electrical smoking device and a small white piece of paper with a brown crystal-like substance on it. That substance later tested positive for Tetrahydrocannabinols (THC) in a non-plant form. Investigators also found a plastic bin that contained a bag of marijuana, rolling papers, and loose marijuana. A separate black bag also contained an additional bag of marijuana and roach clips. A loose burned marijuana cigarette was found in a plastic container inside the trunk. Hall was arrested and charged with Possession of a Scheduled 1 Controlled Substance, Possession of Marijuana, and Possession of Drug Paraphernalia. Hall was released from jail on a $2,750 bond. More on Cops and Crime.